SORRY - THIS COURSE IS NOW FULLY BOOKED! If you are interested in this course please contact us and let us know. We will look to run this course again in the future and will make sure we advise you as soon as details are available. Discussions will also cover Plastic, Glass and Metal packaging and their impact on the environment and whether the use of non-renewable resources, plant based bioplastics, compostable and recycled materials and various tools can assist their business to understand the full life of packaging. This will involve the impact of ‘Food or Product Waste’. If you are responsible for your business’s packaging design, performance or purchase specification, then you should attend. Packaging Designers, Technologists and Engineers, anyone responsible for Environmental Strategy Development, Marketing & Sales, Graphic Designers. 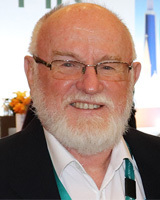 Ralph Moyle FAIP CPP is an experienced food-packaging consultant with 40 years in the food processing industry and 20 year’s focused on packaging. Through a unique range of senior management experiences in Packaging, Operations, Technical and Quality Assurance in large and medium FMCG businesses, Ralph has brought increased value to many organisations through the value of smarter packaging at less waste. All attendees must wear closed in shoes. All attendees must use available street parking as limited on-site parking is only for staff. NB: A Tax Invoice will be sent upon receipt of your booking. The attendance fee includes catering for morning tea, lunch and afternoon tea. Please note, a workbook will be provided to each participant for future reference and use. Due to catering and venue requirements NO CANCELLATIONS will be accepted after the 6th of February. Replacements will however be accepted.
.*CPE points are used to maintain your Certified Packaging Professional (CPP) credential..